:: GE Healthcare Partners :: Insight - Are You Ready for Medicare’s Payment for Value? Do You Know Your Value Modifier Score? The Affordable Care Act established the Value Based Payment Modifier (“VBPM”) to begin moving Medicare payments toward physician reimbursement that rewards value over volume. While it began with medical groups with more than 100 eligible providers (“EP”), all practices, regardless of practice size, are subject to payment adjustments in 2017 as a result of their performance in calendar year 2015. The Value Modifier (“VM”) adjusts the Medicare Physician Fee Schedule (“PFS”) payment based on the quality and cost of care provided(1). Given the potential for future financial penalties, it is important to understand what your VM is and how you are performing as reported in the 2014 Annual Quality Resource Use Report (“QRUR”), which was released to all physicians by tax identifier numbers on September 9, 2015. The QRUR provides a snapshot of whether your practice is scoring in the acceptable range to avoid a penalty or exceeding the target and eligible for an incentive. Groups with ten or more EPs are subject to penalties in 2016 based on 2014 performance (those participating inMedicare Shared Savings Program ACOs, the Pioneer ACO Program, or the Comprehensive Primary Care Initiative are excluded) and should quickly review their QRUR report. If you are not performing within the acceptable range, there is still time to impact your VM and Medicare payments for 2017. Because the QRUR report provides a view into how a practice performs under a fee-for-value model, it is a valuable data source to use in identifying gaps in care and operations. You can use the data to facilitate your efforts to transform your practice to improve your quality of care, streamline resource use, optimize technology, and identify opportunities for care coordination. Use QRUR data to stratify your Medicare patients into the four chronic disease categories (diabetes, chronic obstructive pulmonary disease, coronary artery disease, and chronic heart failure) being measured to identify opportunities for care improvement. CMS is measuring this data to determine per capita costs(2). Perform an analysis of current workflows, physician and staff responsibilities, and practice resources to identify gaps in addressing care needs of these patients and develop an implementation plan to strengthen the practice’s care coordination capabilities. Implement a care management program using a team-based care model and use disease registries to track these patients to ensure they are receiving the care they need. Work with your hospitals to develop effective care transition planning. Review the last hospital admission data and date of last claim filed supplied in the QRUR to identify opportunities for follow-up visits after hospital admission and hospital admissions that could have been prevented. Develop and/or refine processes to ensure effective care transitions and follow-up of recently discharged patients. Create processes to stay in touch with your sickest patients who are at risk of hospitalization and implement interventions to prevent hospitalization. To ensure that your data accurately attributes the providers in your practice, review “Providers associated with TIN.” Check provider participation and specialty and confirm accuracy against Provider Enrollment, Chain, and Ownership System (“PECOS”). Non-participation in Physician Quality Reporting System (“PQRS”) will impact your score in VBPM because it relies on PQRS participation for the purposes of reporting quality. While closely connected to PQRS, the VBPM levies penalties separate from PQRS for non-participation. VBPM adjustments are made in addition to the PQRS penalties that EPs may receive for not successfully reporting in that program. Your PQRS scores as compared to benchmarks is another valuable tool in assisting practices in identifying gaps in care. The move to fee-for-value has started, and your practice can’t afford to be left behind. Both the QRUR and PQRS reports provide practices and physicians with data to use in transforming their practices for success under value-based payment. It is time to start the journey to practice transformation now. (1) Claims data is used to measure both quality and cost. Quality measures included in the QRUR report are the 30-day All Cause Hospital Readmission, Acute Ambulatory Care-Sensitive Condition (ACSC) Composite, and Chronic ACSC Composite measures. The cost measures included are Per Capita Costs for All Attributed Beneficiaries, Per Capita Costs for Beneficiaries with Diabetes, Per Capita Costs for Beneficiaries with Chronic Obstructive Pulmonary Disease (COPD), Per Capita Costs for Beneficiaries with Coronary Artery Disease (CAD), Per Capita Costs for Beneficiaries with Heart Failure, and Medicare Spending per Beneficiary (MSPB). (2) For detailed CMS guidelines to evaluate and improve performance, refer to https://www.cms.gov/Medicare/Medicare-Fee-for-Service-Payment/PhysicianFeedbackProgram/Downloads/2014-Understanding-Your-QRUR.pdf for more information. Ms. Hawkins is a manager with GE Healthcare Camden Group and has more than 20 years of experience in the healthcare provider sector as a management consultant. She specializes in the areas of practice operations, contract negotiations, benefits administration, reimbursement management, and market development. Ms. Hawkins assists a wide range of provider organizations, healthcare systems, and independent and employed physician groups with addressing issues impacting their overall performance and competitive positioning. 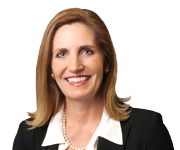 Her key areas of expertise include strategic planning, population health strategy, and hospital/physician integrations. She may be reached at chawkins@thecamdengroup.com or 512-792-5600. Practices have felt little pressure to change their business model, and patients really have not had any other options. That is changing, however, and it is changing very quickly.